This first weekend of June marked the beginning of garage sale season in Portland. On Friday Heather and I each headed separately to about a dozen sales but came back empty handed. Saturday was was much better and we found many pieces that made it a great weekend. 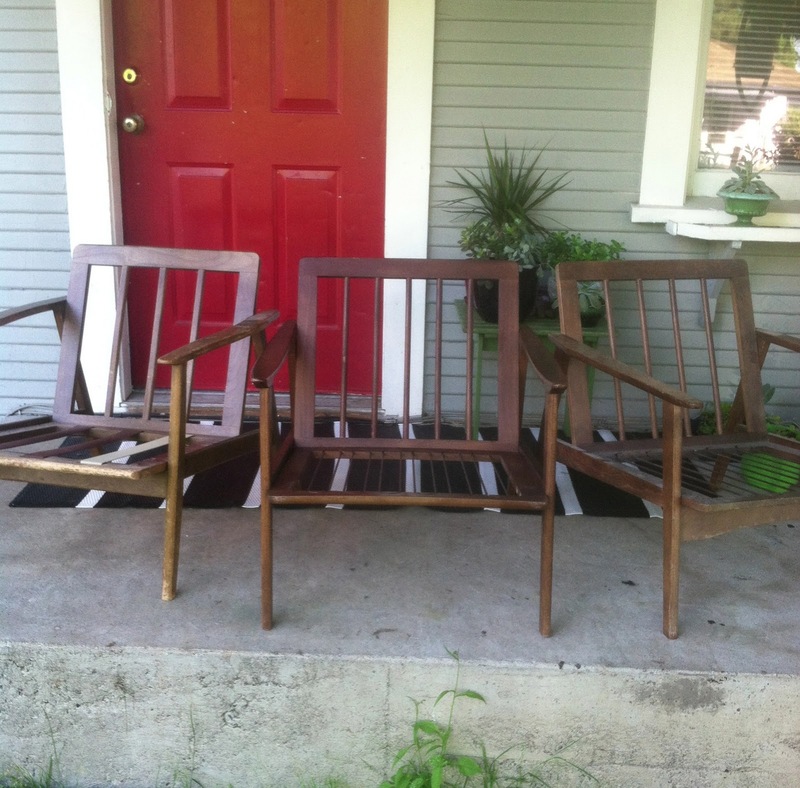 These 3 lounge chair frames were just a few of the pieces we found at a garage sale on Saturday. We will have pictures of the other pieces later in the week. One of the lounge chair frames has already been upholstered in Pendleton fabric. SOLD at Hawthorne Vintage. This great mid century dresser was found at a thrift store and has already been sold. 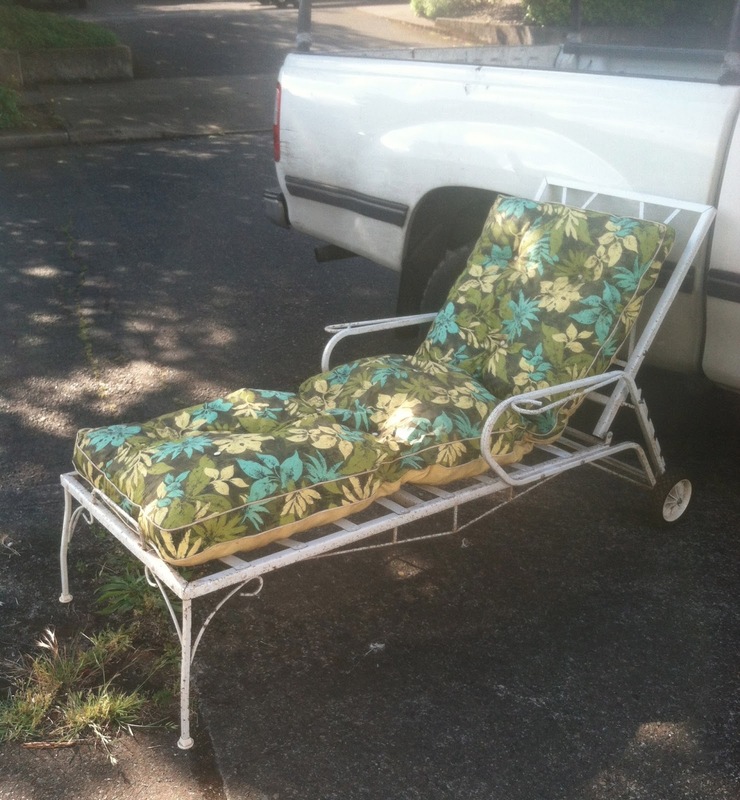 The last find of the weekend was this retro patio chaise lounge. SOLD at Hawthorne Vintage. Great finds! I love the lounge! Love seeing your finds. Always learn something new. Thanks for hosting. Ahh, that patio chair is perfect...from a time when sunbathing was not yet frowned upon. The chairs are great and the dresser would look great in my bedroom but the boyfriend has different ideas.